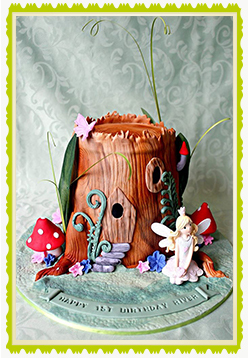 All cakes are priced individually and take into account the clients specific needs. Please contact us directly and supply an image of the cake you have in mind, and we can put together a personalised quote for you. We offer all wedding clients a free no obligation sit down consult and tasting. Handmade customised toppers and elaborate decorations do incur extra charges, prices will vary depending on the labour involved so please contact us with your design ideas for a more accurate quote. 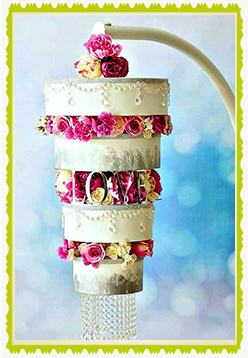 You are most welcome to pick up your cake when a suitable time can be arranged. Please note that we operate from a private residence at Sandhurst. 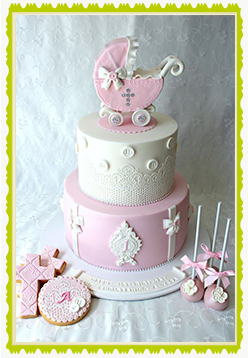 Once your cake leaves our premises, Cakes by Lisa will not be held liable for any damages thereafter. If you would like your cake delivered, this is charged dependent upon distance required to travel. Please contact us for a quote.